This week’s program which aired on Tuesday, July 21st, started with two sets of fantastic ska beginning with one of the most unheralded singer/songwriters in Jamaica music history, Wilburn “Stranger” Cole’s 1963 cut for Duke Reid’s Dutchess label, “Boy Blue.” Gaylad, BB Seaton, ended the first set with a fierce solo cut, “Power” produced by Coxsone in 1963. After another, mostly instrumental ska set, we charged into our mento set with The Tower Islander’s informative tune, “Advice To Men.” We ended our first hour with an unusually long rocksteady set, beginning with The Originators, “Red Hot Iron” for Gayfeet in 1967 and ending with Junior Smith flute-infused rocksteady, “Cool Down Your Temper.” At the end of the first hour it was time to spotlight Alvin Ranglin’s GG Label. Born in the rural district of Eden in Clarendon in Alvin Ranglin’s interest in music began when he was a child as a choir member in the Adventist church. As a teenager, he moved to May Pen for a better school. In May Pen, Ranglin began to sing publicly in concerts. Music, however, was not his original industry of choice. Ranglin first attempted to become a carpenter, then mason, and then a welder, with no luck. At that point, his mother suggested going to England, but Ranglin stayed and became an electrician, emerging after training as a radio and television technician. Given his skills, Ranglin built tube amplifiers that were sold to musicians, and in the hope to get more music to people beyond the amplifiers, Ranglin opened up his GG’s sound system, named after family members, Gloria, her sister, and a cousin nicknamed Girlfriend. With the soundsystem open and connections to the jukebox industry, Ranglin was ready to record his own singles. The earliest to his label were the Maytones and his singing partner Emmanuel Flowers. With the duo Flowers & Alvin, the label scored a hit with Howdy & Tenky, which was further promoted by Ranglin’s own jukebox circulation. A major entrepreneur with hands in many businesses ranging from TV repair to gaming machines, Ranglin also opened a record store in May Pen, then Kingston, then Halfway Tree, Old Harbour, and eventually in London and Brooklyn. The Maytones, Vernon Buckley and Gladstone Grant, were early stars on the GG’s label. Buckley was doing book work and Grant was a mini-bus driver, and the two formed the Mighty Maytones and auditioned for Alvin Ranglin when they heard about his record store in Maypen. 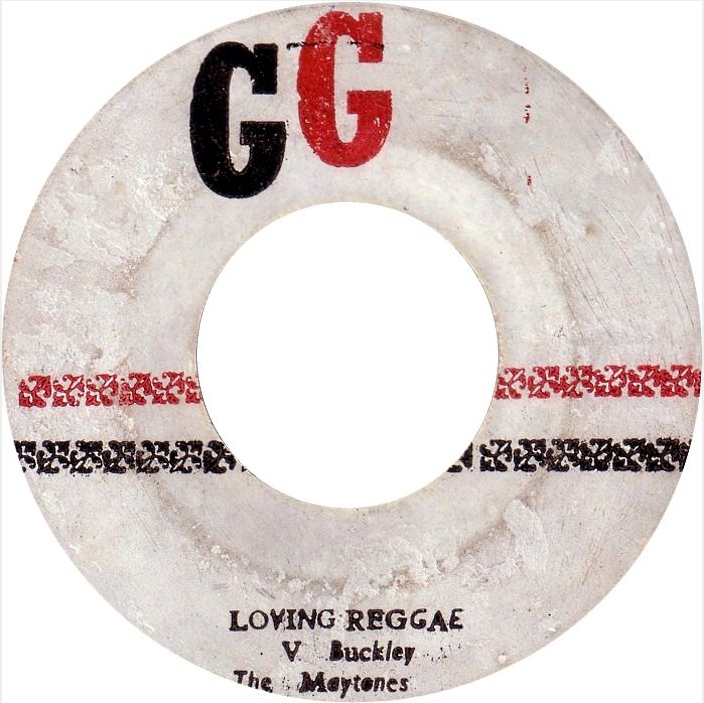 The Maytones would see great success with Ranglin until Buckley left Jamaica for Canada in 1980. The house band for the label was the GG All Stars and amongst the rotating musicians who played for GG’s All Stars are: Winston Wright or Glen Adams on keyboards. On trumpet Bobby Ellis and on sax Roy Samuel or Felix Bennett. On guitar Alva Lewis or Hux Brown. on Drums were Winston Grennan and Calrton Barrett. On bass Clifton Jackson or Aston Barrett and on piano Theo Beckford or Glady Anderson. Listen to the 7/21/15 edition of Generoso and Lily’s Bovine Ska and Rocksteady on Mixcloud HERE. This past week Lily and I started off with two sets of rare ska, beginning with Larry Lawrence side on Beverley’s called “Garden Of Eden.” We ended that first set with a very early cut from The Sensations entitled “Juvenile Delinquent” that they recorded for Treasure Isle in 1966. Our mento set started off with Lord Power taking a mento classic and converting it into an advert for “Special Amber Calypso.” We ended the first hour with a six song set of rocksteady, ending with the great Roy Panton and The Cabeleros performing “Control Your Temper.” We then dove right into our spotlight of Derrick Morgan’s Hop Label…. Known as one of the first superstars of Jamaican music, we know Derrick Morgan as a star singer. After recording for Duke Reid, Prince Buster, Coxone Dodd, and Simeon Smith in Jamaica and Emil Shalit in England, Derrick Morgan arrived at the Beverley’s label. At Beverley’s, Derrick not only sang for Leslie Kong but also ran auditions, discovering Bob Marley, Desmond Dekker, and The Maytals. Furthermore, he ran rehearsals with singers before they recorded, and he also began producing records for Beverley’s as well. Consequently, Derrick was more than prepared to run his own label. So, when ska transitioned into rocksteady, Derrick opened his Hop label, named after his ska hit,under the pseudonym Seymour Morgan and backed by the mighty talent of Lynn Taitt and The Jets as the house band. 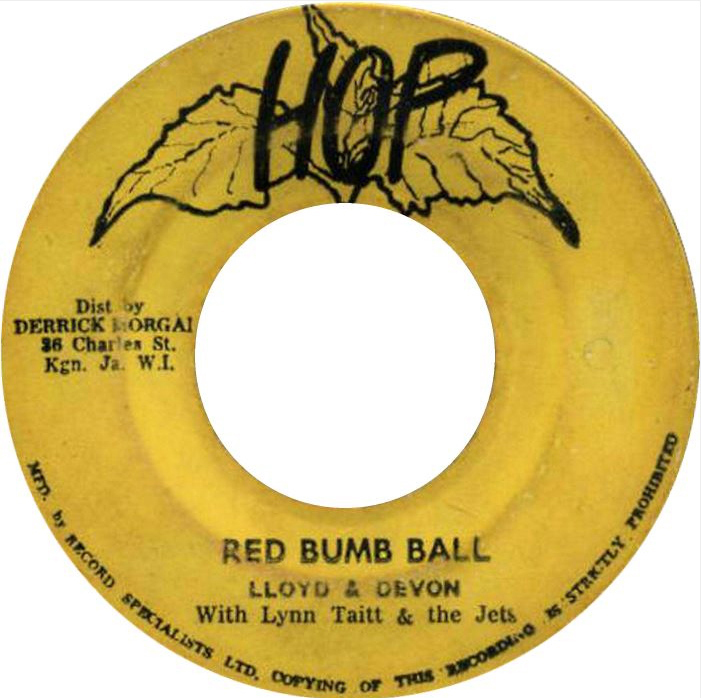 The first release on the Hop label, Lloyd & Devon’s Red Bum Ball, was a huge hit, and as a result, Derrick continued on with his Hop label. We started off this spotlight on Hop with this first release and hit for Morgan’s label. In these early tracks, you’ll hear Lynn Taitt on guitar. 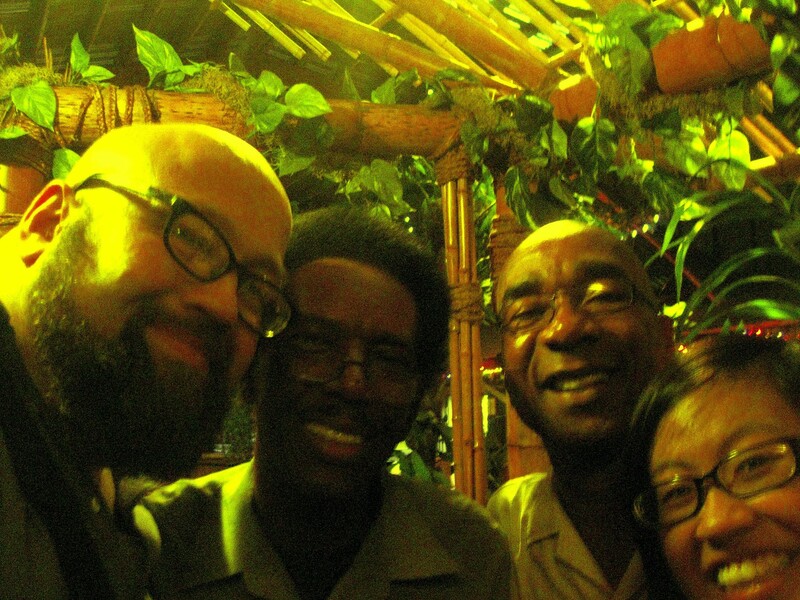 With Hop productions, Lynn and Derrick worked very collaboratively, with Lynn composing the guitar and bass line and Derrick arranging the vocals. The two worked closely from 1966 up until 1968, when Derrick Morgan moved to England for a second time to produce records for Pama’s Crab subsidiary. After about a year in England, Derrick returned to Jamaica, and picked back up on his Hop releases, recording in reggae, now that rocksteady had fully transitioned into reggae. We then focused the spotlight on rare Hop reggae releases before playing our favorite cut from the label. Join us on Facebook to find out about future spotlights, Jamaican shows of interest in the So. Cal area and more! This week (July 7th) on Generoso and Lily’s Bovine Ska and Rocksteady, we started off with a version to version to version extravaganza from Phil Pratt’s Sun Shot Label. We began the second set again with another version to version from Derrick Harriott and the late DJ Scotty, then our bouncy mento set before a long set of early Jamaican rhythm and blues that featured an early Jimmy Cliff side from Leslie Kong’s Beverley’s label called “You Are Never Too Old” to set up the spotlight on Prince Buster’s Wild Bells label. Born as Cecil Bustamente Campbell, Prince Buster has one of my all time favorite stories about his entry into the music industry. After living with his grandmother in rural Jamaica as a boy, Buster gained an interest in music after singing in churches. Consequently, as a teenager, when he lived on Orange Street, he naturally became attracted to the soundsystem culture, particularly with Tom the Great Sebastian’s soundsystem. As soundsystems further emerged and began to compete against each other, particularly the big two, Coxone Dodd’s and Duke Reid’s, Prince Buster and his crew aligned himself with Coxone, whose soundsystem was more of an underdog in comparison to Duke’s, to provide Coxone’s dances with security. As he stuck around Coxone, Buster learned enough about running a soundsystem that he created his own, which he called Voice of the People. With his soundsystem up and ready for records, Buster was ready to begin recording his own singles, but originally before he could get to producing music for his soundsystem alone, he was asked by Duke Reid to produce records for him. 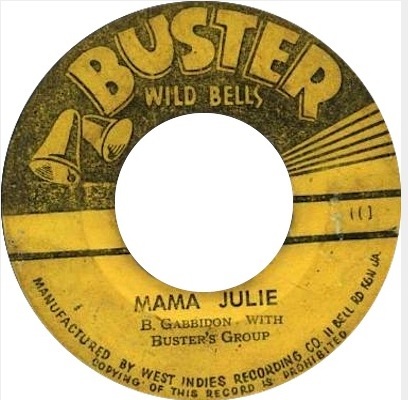 Buster ended up recording 12 tracks at Feral studios, and he gave one to Duke Reid, leaving the rest to be pressed on his own Wild Bells label, which we highlighted this epsiode, beginning with Buster’s very first track as a vocalist, Little Honey, which was released in 1961. If you would like to listen to the show, it is HERE!